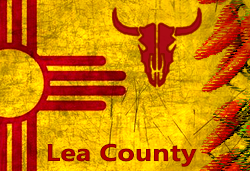 Looking for a job in Lea County New Mexico? This Lea County New Mexico job guide is a resource for job seekers looking for legitimate employment opportunities in the region with an emphasis on government positions, top healthcare employers, public school careers, and major job boards. Zia Racetrack & Black Gold Casino offers a wide variety of opportunities for friendly and motivated individuals. They offer competitive wages, a benefits program and many opportunities for career advancement. Zia Park welcomes talented, energetic and enthusiastic candidates with a passion for exceptional guest service. Open positions found had included Assistant Director Human Resources, Assistant Marketing Manager, Banquet Sales, Casino Housekeeping Jobs, Controller, Cook, Dishawsher, Groundskeeper, Guest Room Attendant, Hotel Cafe Cashier, Hotel Front Desk Agent, Maintenance Jobs, Housekeeper, Security Officer, and more. Ferguson Construction Company accepts employment applications. URENCO USA is the first enrichment facility to be built in the US in 30 years and the first ever using centrifuge enrichment technology. During review there were open positions for Human Resources Business Partner and Tax Analyst. Check for new listings under "URENCO USA" in their career search feature. The Lea County Correctional Facility is a 350,000 square-foot private prison located on 60 acres leased from Lea County yet annexed by the city of Hobbs, New Mexico. Lea County Correctional Facility may have open positions periodically for Correctional Officer or Probation/Parole Officer. Nova Services is always looking for experienced individuals to join their team. Mewbourne Oil Company presently employs approximately 400 people in eight offices. Pettigrew & Associates is a leader in fully integrated engineering, surveying, and materials testing, serving New Mexico, Texas, Kansas, and other states. Here you may find open positions such as Construction Field Engineer, Project Surveyor, GIS Technician, Project Engineer, Lab Technician, CADD Technician, Engineer Intern, and more. Lea County is a great resource for browsing ongoing employment opportunities. During review there were open positions available that included Deputy Assessor, Detention Officer, Equipment Operator, Maintenance Technician, Criminal Records Specialist, Administrative Coordinator, Operations Technician, and Deputy Treasurer. Visit the county jobs page frequently for updates. The City of Hobbs was hiring on this review date. Some employment opportunities posted had included Certified Police Officer, Detention Officer, EMS Specialist Intermediate or Paramedic, Express Transportation Driver, Library Specialist, Non-Certified Police Officer, Seasonal Trail Maintenance Worker, and Utilities Maintenance Worker. Check for new listings. The City of Jal had been accepting employment applications for the positions of Police Dispatcher and Police Officer. Applications were available for Animal Control Officer as well. Visit their site for updates. The City of Lovington was hiring for the positions of Police Department Police Officer, Parks and Recreation General Maintenance, Street Department Truck Driver, Finance Department Accounts Payable Clerk, and Fire Department Firefighter. Nor-Lea Hospital District is a not-for-profit, community-based healthcare organization that owns and operates Nor-Lea Medical Clinics; Nor-Lea Professional Physicians Center; Nor-Lea Cancer Center; Nor-Lea Home Medical and Nor-Lea General Hospital, a 25 bed Medicare-certified facility. Jobs available had included Patient Service Representative, Nurses Aide, Licensed Practical Nurse LPN, Registered Nurse RN, Medical Assistant, Information Technicians, Clinic RN - Registered Nurse, Maintenance Job, Registration Clerk, Occupational Therapist OT, Executive Assistant, Pharmacy Tech, Behavioral Health Tech, Security Job, Sleep Lab Tech, Respiratory Therapist, and Echo Vascular Technologist. Lea Regional Medical Center is a 201-bed, acute care facility providing complete care - from cardiac care and pediatrics to mental health and outpatient surgery. Job openings found included Cath Lab Tech, Certified Medical Assistant, Certified Medical Assistant PRN, Clinic Office Manager, Registered Cardiovascular Invasive Specialist Cardiac Cath Lab, Registered Nurse - Adult Mental Health, Registered Nurse ICU, Registered Nurse Medical Surgical Pediatrics, Registered Nurse Medical Surgical Adult & Pediatrics, Registered Nurse Obstetrical Serivces (L & D, OB, NSY), PRN Nursing Jobs, Per-diem Nursing Jobs, Registered Nurse TCU, Registered Respiratory Therapist PRN, and Speech Pathologist. Good Samaritan Society provides a number of services including skilled nursing care, in-home respite services, and senior housing options. During review there had been open positions for Director Maintenance, MDS Coordinator, Cook, Certified Nursing Assistant CNA, Charge Nurse LPN, and Charge Nurse RN. Lin-Mar provides long term in-home care for the disabled and elderly of Lea County. American Medical Group, Inc. strives to deliver the best patient and customer care and service that is possible. Hobbs Family Health Center provides a safety net of medical care for thousands of New Mexicans of all ages. Everyone is eligible to receive PMS medical services. Careers found had included Parent Education Administrator and Medical Assistant. MECA Therapies provides a wide scope of evaluation and therapy services. During review open positions available had included Speech Language Pathologist (SLP), Occupational Therapist, Physical Therapist, and Physical Therapy Assistant (Part Time). Landmark at Desert Gardens periodically hires for positions such as Maintenance Manager, Social Worker, Certified Nursing Assistant (CNA), and Resident Care Aide. SavaSeniorCare periodically hires nurses, therapists, and caregivers in Hobbs. Hobbs Municipal Schools had employment opportunities on this review date including Art Teacher, After School Certified Teacher, Non-Certified Staff, Support Staff Jobs, School Secretary, School Custodian, Stock Clerk, Custodial Jobs, 2nd Grade Paraprofessional, Kindergarten Paraprofessional, Elementary Teaching Jobs, SPED Paraprofessional, Special Education Teacher, Data Analysis Secretary, Choir Teacher, TABS Special Education Teacher, Math Teacher, English Teacher, Bilingual Teaching Jobs, Science Teacher, Spanish Teacher, Kindergarten Teacher, and more. Eunice Municipal Schools was hiring. A survey of open positions available had included Social Studies Teacher, Secondary Math Teacher, Custodian Job, and Groundskeeper. Jal Public Schools periodically hires when vacancies exist. Veritas Classical Christian Academy partners with parents to provide a classical education based on a Biblical worldview. Visit their site for employment opportunity listings. New Mexico Junior College had a variety of instructional and support staff positions on this review date. University of the Southwest had employment opportunities. Careers found included Administrative Assistant to the Dean of the School of Education, Assistant Athletic Director for Compliance Services and Business Operations, Head Athletic Trainer, Senior Technology Specialist, School of Business Faculty Position, Kinesiology Faculty (Full-time Residential), Adjunct Faculty Position, and Resident Director. The Hobbs Chamber of Commerce has a section called Hobbs Jobs that periodically lists employment opportunities. Lovington Chamber of Commerce has listings of employment opportunities. The Bureau of Indian Affairs may periodically hire for various positions in the Lea region. This Worklooker Roswell | Chaves directory includes featured employers such as Roswell Daily Record Classifieds, Leprino Foods Jobs, Krumland Auto Group Jobs, Dean Baldwin Painting, Pioneer Bank Roswell, Dollar General Jobs Roswell, Chaves County Job Openings, City of Roswell Job Openings, Lovelace Regional Hospital, Eastern New Mexico Medical Center, Mission Arch Center Roswell, Casa Maria Health Care Center, Roswell Independent School District Employment, New Mexico Military Institute Roswell, Eastern New Mexico University-Roswell, Roswell Chaves County Economic Development, and Craigslist Roswell Jobs.